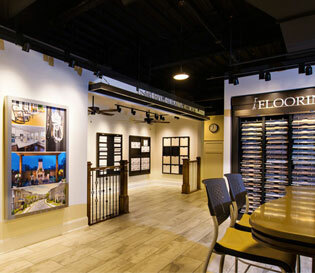 Ferrazzano prides itself on offering a wide range of floor, wall, countertop and exterior hardscapes products that keep up with homebuyer demands, the latest trends, and are available to the market at very competitive prices. Our product-specific field supervision ensures quality craftsmanship and timely delivery. We offer scalability and flexibility with our programs. Recognizing the need for builder-manufacturer relationships, we are able to build programs within those parameters. 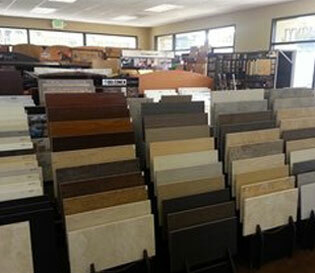 Tile offering ranging from ceramic, porcelain and natural stone to glass and metallics. Tile is very design flexible and can be used to create dramatic first impressions. 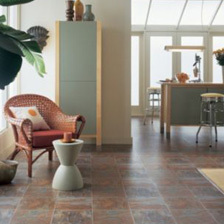 Even a modest area, indoors or out, can come to life with the breathtaking colors and textures of tile. 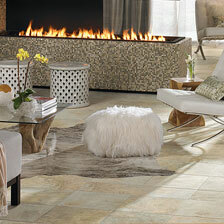 Carpet assortment from neutral to vibrant colors to stronger bolder patterns and textures. 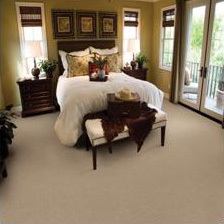 Fiber advancements, weave enhancements, and flexabilty advances in backing technologies have created carpet that combines both refinement and durability. 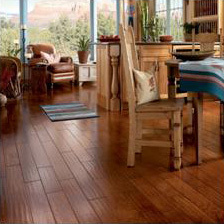 Hardwood that is beautiful, easy to clean, and hypoallergenic. Offered in a variety of colors and styles make it easy to compliment any design style. Today’s engineered hardwood floor offerings are the most durable impact resistant, milled and finished using the latest technologies, resulting in lower maintenance than wood floors produced in years past. Laminate floors from exotic to traditional, richly detailed to sleek and smooth, offering authentic beauty and handcrafted details that can transform a room. Laminate flooring is a multi-layer synthetic flooring product fused together with a lamination process simulating wood or stone with a photographic appliqué layer under moisture resistant a clear coat protective layer. It's easy to clean and surprisingly scratch-resistant. 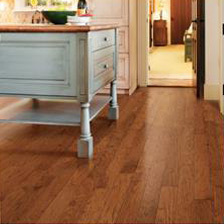 Vinyl flooring is practical, durable, and easy to maintain. It has become sophisticated in its manufacture, with wood and stone designs as well as modern patterns, durable designs and waterproof options which make it stylish too. Vinyl examples include tiles and planks that mimic both the look and texture of wood or stone or ceramic tile. We custom fabricate and install natural stone and quartz surfaces; marble steps and risers. 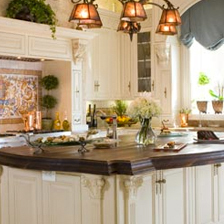 Stone and quartz can be applied on kitchen countertops, backsplashes, islands, desktops, bar tops, vanities, shower walls, tub decks, fireplace surrounds and more. 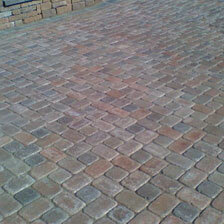 Ferrazzano offers installation of hardscape interlocking concrete pavers and natural stone for driveways and walkways. We only partner with companies that manufacture and distribute quality products that meet the strict ASTM standards. Our installers are skilled, knowledgeable, and ICPI certified, which is the industry recognized program for professionals committed to best practices for interlocking pavement installation. Each state of the art studio provides a full service product selection program for your home buyers that we manage and support with our staff of professional trained design consultants. With the right preparation and expectations, a new home buyer’s design studio visit can be a rewarding experience. Our goal is to provide their very own personalized session to ensure that the interior spaces of their new home reflect who they are. Taking into consideration their lifestyle and budget, our process results in better decisions, less changes, and higher home buyer and builder satisfaction. Home buyers meet with a professional design consultant who specializes in today’s trends, and is educated in each product presented. Setting proper expectations is our top priority. The dedicated Design Studio staff is committed to exceeding buyer and builder expectations in all areas and providing a seamless appointment. The goal of our Design Consultants is to help your home buyer make their dream home come true using the features and benefits sales approach, which maximizes upgrades and improves your profits. In addition satisfied, happy educated homebuyers will recommend you to their family and friends. Able to accommodate the vast price range of all homes - from entry level to multi-million dollar. Innovative technology to interface with home buyers. Offer variety of options to chose from to maximize upgrades to improve your profits.